Homeschooling is legal in all 50 states, and you can begin homeschooling at any time, even in the middle of the school year. Many families choose to start homeschooling mid-year due to problems at school, academic concerns, or illness. Some, who've been considering the idea, may finally decide that it's time to give homeschooling a try. The semester break is a perfect time to make the change; however, you can withdraw your children from school at any time. If you are planning to take your child out of public or private school during the academic year, make sure that you understand your state's homeschooling laws and requirements. You may be unsure if you'll be homeschooling short-term or making a permanent transition from public school to homeschool. Regardless of the duration, there are simple steps you can take to ensure that you're homeschooling legally and making the most of the experience. Research your state's homeschool laws. Most states require that you notify the school that you are withdrawing your student and submit a notice of your intent to homeschool to the county or state school superintendent. Even if your child is under your state's minimum compulsory age, most states will require that you report for a child who has already been enrolled in school. Check with your statewide homeschooling association. They can offer advice on the specific procedure required by your state to remove your child from school. Contact your local homeschool support group. They can also help with the specifics and can usually assist by providing forms, telling you how to request school records, and offering curriculum advice. Consider your homeschool curriculum options. You shouldn't feel pressured to purchase curriculum right away. While you research your options, provide your student with a learning-rich environment and utilize your local library and online resources. There are many resources for homeschooling for free or very economically. You may want to try some of these at least until you determine which curriculum will be the best fit for your family long-term. Discuss the decision with your child. Some children may not want to homeschool. If this is the case with your child, talk about why he is reluctant and see what you can do to address his concerns. Even if your child is excited about starting to homeschool, he may not want to tell his friends until his last day at school to avoid unwanted questions, or he may want to let them know a few days before so that he can make plans to stay connected with them. Socialization: Your child might miss his friends and feel lonely. You can help him through this period by inviting his friends over and getting involved in activities in your community. Homeschool support groups offer many opportunities to help homeschooled kids find friends and allow them to get together for field trips, park days, and homeschool co-op classes. Deschooling: You might need to begin slowly and give your family time adjust to the change. If you decided to homeschool due to a negative experience, such as bullying, your child might need time to regroup. Consider taking a couple of weeks off completely. Then, gradually add in subjects such as math and reading. Spend some time pursuing interest-led topics and doing hands-on projects. 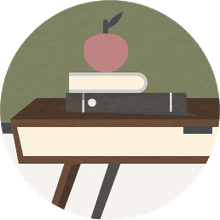 The Course of Study: If you are using a packaged curriculum based on your student's grade level, you can usually feel confident that you're coving age-appropriate material. If you are piecing together your own curriculum, you may wish to refer to a Typical Course of Study for guidance. Organization and Record-Keeping: Paperwork is not the most exciting aspect of homeschooling, but it doesn't have to be intimidating. Some simple record-keeping forms can keep you on track. Allow yourself time to adjust to this new facet of your family life, and you'll soon discover how to make homeschooling work for your family. Academic Pacing. Many parents worry about how to help a struggling learner catch up or how to keep a gifted learner challenged. One of the most significant benefits of homeschooling is that students can learn at their own pace. A student doesn't have to feel behind if he is making progress. And gifted learners have the freedom to explore subjects at a greater depth and breadth than they could in a typical classroom. Homeschooling is a big step and takes teamwork. It is an excellent opportunity to get to know your child again. Talk with him and be sensitive to and understanding of his feelings. Be enthusiastic, start slow, and have patience, but most of all relax and have fun!